Auburn gets CB Commit from Devin Gaulden. Auburn fans search internet furiously. This is a rare one. An extremely rare one. First a little background on my love/hate relationship with football recruiting. I follow it, but I don't follow it closely. I'm not a star watcher and I will never find myself getting excited or claiming a "recruiting national championship" like some schools. Still, the whole process does hold some bizarre fascination to me. The camps, the rankings, the subtle move to AAU style recruiting that's underway, the back and forth between competing websites; THAT is what I get interested in. So that's why this story (which is a rarity for a blog that normally focuses on Auburn baseball) should be talked about. Auburn got a Cornerback commitment and for the people that actually do follow Auburn recruiting, it came as a headscratcher. Not because of the commitment but because of how it was announced. Normally, you could expect a site like AuburnSports.com or InsideTheAuburnTigers to break the news of the commitment. Maybe with a tweet or with paywall locked post. This was not the case for University School (Ft. Lauderdale, FL) CB Devin Gaulden, who's commitment was broken by an on-the-fringes website and a twitter account that went a solid 7 months between tweets. On a side note, can anyone explain the Nacho reference? There's not a guy named "Nacho" on the roster of University School. In fact, Rivals only lists 1 other player as a recruit from University School. A little background shows that the blog Gridiron Studs first reported the commitment. On Monday July 19th. Auburn fans started talking about it today (Thursday). In the world of internet college recruiting where commits offers and known and tweeted about and posted within minutes, for an announcement to take 4 days is Pony Express-like delivery. So what do we know? Well, we know Gaulden is 5'10, 175 lbs, and runs a 4.56 40. We know that from Rivals. 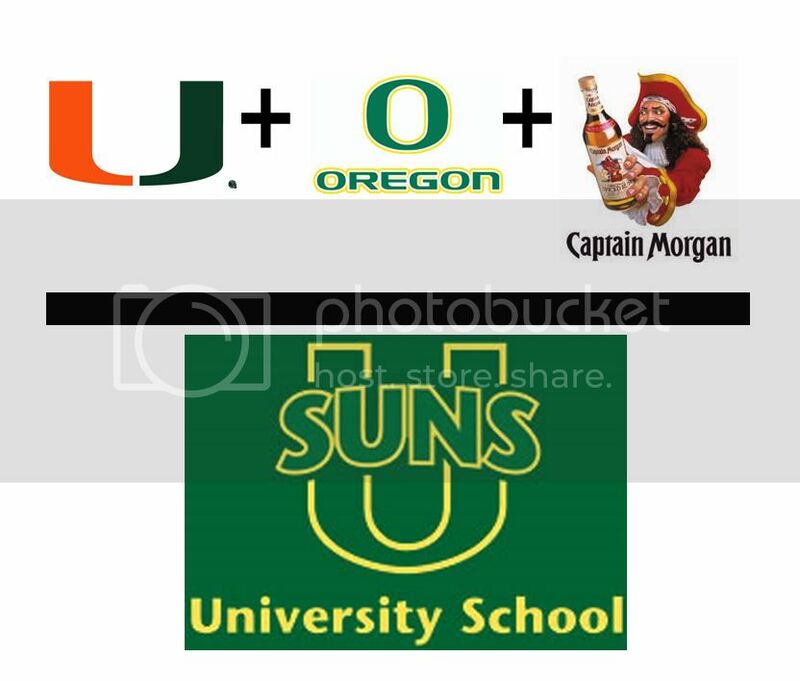 We know he plays for University School of Nova Southeastern University in Ft. Lauderdale whose athletic identity looks like the University of Miami and the University of Oregon had a drunken hookup. Cornerback Devin Gaulden was starting to turn heads and rack up offers when he received an offer from the Auburn Tigers. That was all Gaulden needed to put an end to the process. Things happened fast but fate also had them fall in place. Gaulden and his family were headed to Alabama last weekend for a family reunion and it just so happened to be the same weekend that Auburn was having their camp. Late Monday night Gaulden felt like an offer from Auburn was coming and indeed it did on Tuesday. After a conversation with the staff, Gaulden made the commitment to Auburn. On the opposite end of the ball was Devin Gaulden (Fort Lauderdale, Fla./University School). Gaulden refused to give into any idea that the offense would dominate the individual, doing far better than holding his own. Gaulden did a great job of playing the ball and jamming the receivers. He also ran a 4.22 shuttle, 4.56 40 and had a 8-foot, 9-inch broad jump en route to winning the DB MVP. Until last season, Gaulden’s sport of choice was basketball. His array of skills and talent helped him excel at the guard position. Apparently hours of crouching down in front of rim attacking opponents honed Gaulden’s cornerback skills. He appeared at University School in 2009 just as green as the grass below his feet. However, his God given talent, good coaching and a will to compete helped Gaulden speed up his learning curve and transform himself into a D-I worthy prospect. Due to injury, Gaulden only appeared in five games for the University School Suns (Ft. Lauderdale, FL) in 2009. He displayed his great potential in those contests but did not lay down enough body of work to send a rush of colleges to his doorstep. University School defensive back Devin Gaulden was suspended two games by the Florida High School Athletic Association following his ejection from Friday's game against Nova. Gaulden was ejected after throwing a punch at an opposing player in the first quarter. Nowhere was Gaulden’s potential more apparent than when he appeared at the Shuman’s National Underclassman Combine in Orlando earlier this month. It’s one of the top events for potential college prospects that takes place across the country. Gaulden put his money where his mouth is by putting up a 4.50 in the forty, 4.2 in the shuttle and the handcuffs on all of the receivers he went up against in one on one drills. Gaulden’s performance was strong enough for him to walk away from the event as the Defensive Back MVP and an invite to the Top 100 in Atlanta this summer. The Top 100 takes the best of the best from the various combines across the country and brings them to one location to compete alongside and against each other. It’s only a matter of time before the colleges come knocking on Gaulden’s door looking to secure his services. It’s a moment he has prepared for but he’s more focused on advancing University School’s team goals for 2010. The Kraken Returns, Now What? So where do we go from here Soccer?